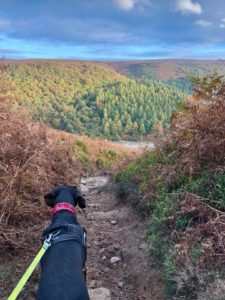 This walk is short but challenging, with a fairly steady climb up on to Derwent Edge and then quite a steep descent on rocky paths. That said, the scenery from the top is staggering and well worth every bit of effort. 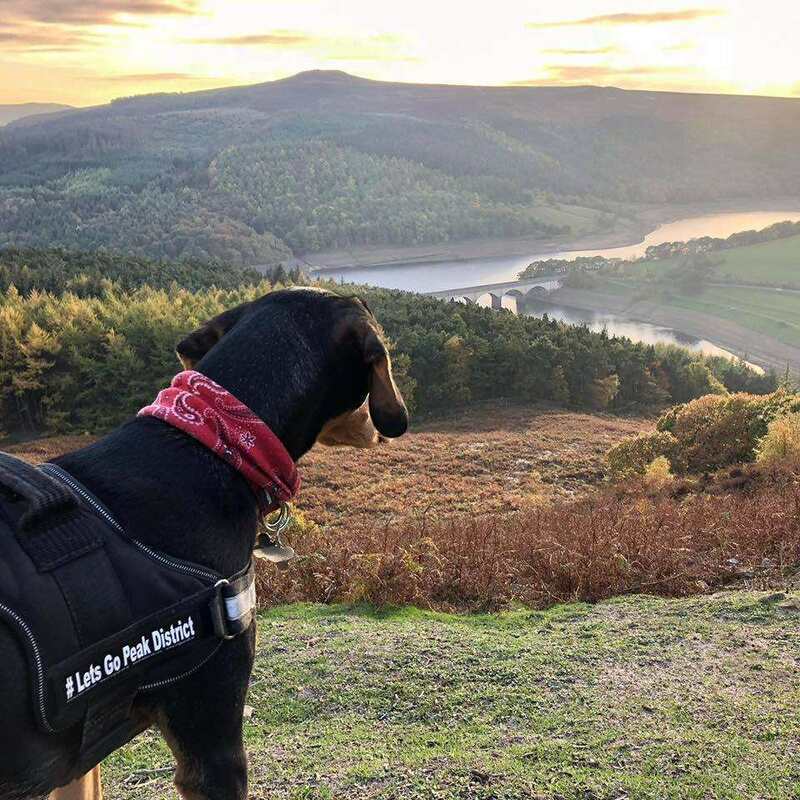 From the top you are rewarded with views all the way along Ladybower Reservoir, with its iconic viaduct, and onwards to Crook Hill, Win Hill and over to Kinder. This is a circular walk of 2.5 miles. The trails are clearly marked and easy to follow. 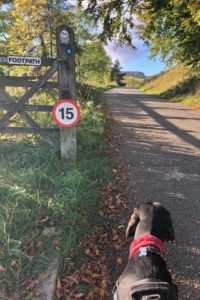 It is ideal for energetic dogs as there are no stiles and you are unlikely to encounter cows, although there are often sheep on the moors. Parking is free and there are numerous pubs close by for refreshments after the walk. Although the walk is short it is not easy, so allow at least an hour, particularly with stops to admire the scenery. There is free parking available on the side of the A57 just west of the A6013, before the viaduct over Ladybower Reservoir, heading in the direction of Manchester (SK 19543). 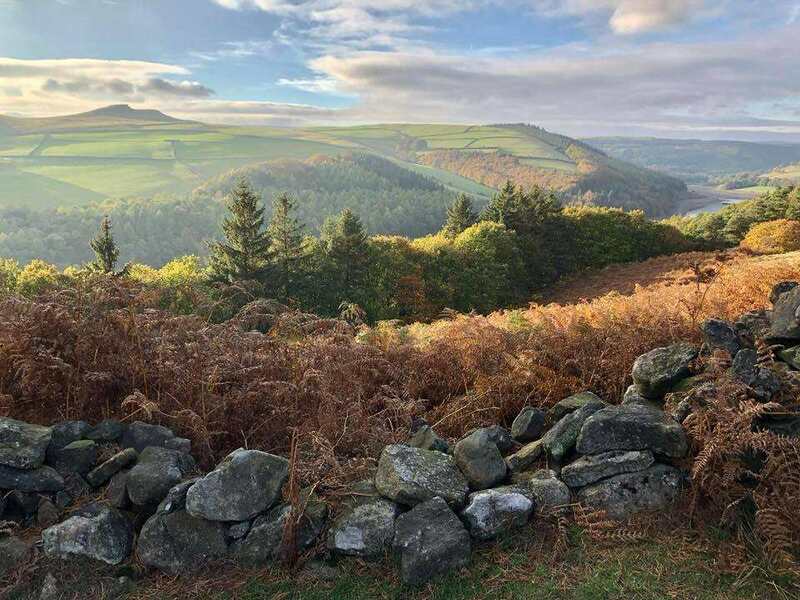 If there are no spaces here, the car park for the nearby Ladybower Inn is free for patrons, as long as you eat or drink there before or after the walk. The walk begins on the wide footpath on the opposite side of the road from the free parking bays, just before crossing the viaduct (SK 19543). After approx. 100 metres turn sharply right, heading away from the reservoir, and follow the bridleway signposted to Cutthroat Bridge. Pass the pretty Ding Bank Farm and continue on through a wide gate. Very soon afterwards looking out for a path heading off to the left through a small gate, signposted for Whinstone Lee Tor. Follow this track up the hill, keeping to the right of a stone wall. This part of the walk is a little uninspiring and the views are obscured by fir trees, but don’t be disheartened! 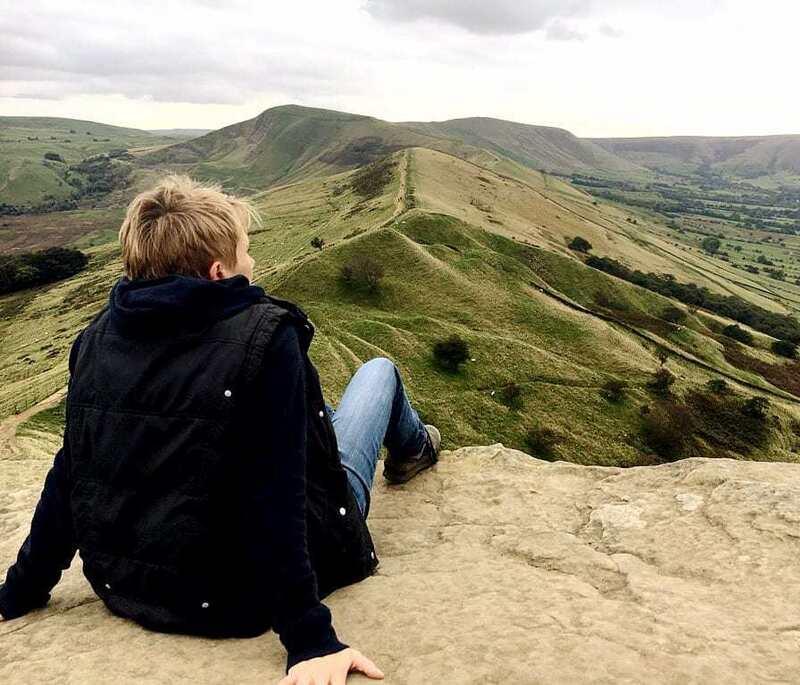 As you reach the crest of the hill, your effort is rewarded by magnificent views over Crook Hill and Ladybower Reservoir. Continue on the main path as it bears right, up a steep rocky incline to the top of Derwent Edge. There is a National Trust sign for Whinstone Lee Fields at the top of the hill. Turn right at the top of the hill and follow the path that tracks closest to the edge. Take care here as the path is narrow and the views are distracting! To your left you can see Stanage Edge and Bamford Edge, and straight on is the village of Bamford. The iconic viaduct over Ladybower Reservoir is easy to pick out, with the sharp peak of Win Hill beyond. The green slopes of Crook Hill lie over to your right, with the bulk of Kinder Scout in the far distance. Follow the well-marked path as it wends its way back down through the heather and bracken. The terrain is rocky and uneven, and the path is quite steep in places. Upon reaching a T junction at the bottom of the path, turn right, keeping the stone wall to your left. The path continues on through bracken with Ladybower ahead and to the left of you. Continue on through a wide gate, to find yourself rejoining the bridleway that you started on.